Our next door neighbour here in Seville is La Maestranza, the oldest bullfighting ring in Spain, so a visit was a necessity. The building itself was built about 300 years ago and is a simple but lovely place. One of the reasons we wanted to visit was that it occurred to us that it was a good way of seeing what the Roman arenas we have seen might have looked like when they were new. 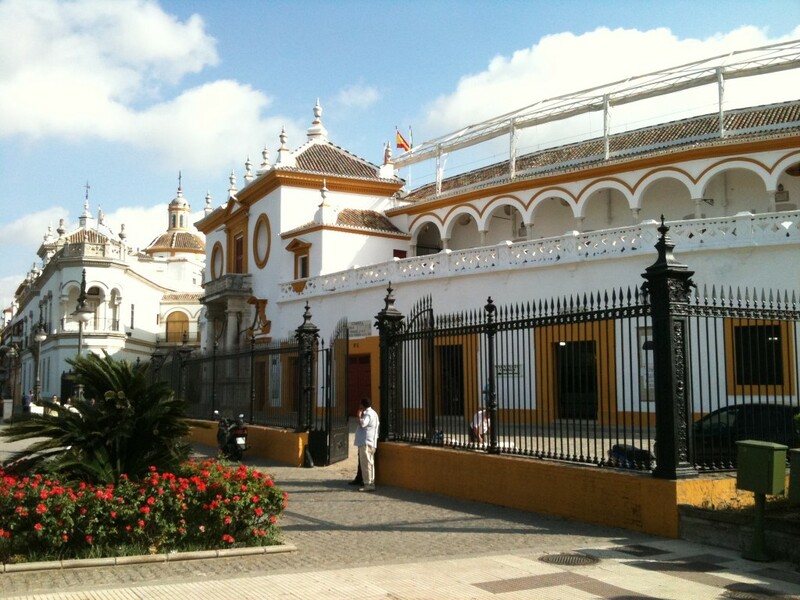 The similarities are certainly strong, but La Maestranza is a living, working building. The core of the structure is the dirt ring itself – a deformed circle surrounded by rings of seats set amongst whitewashed walls. The biggest pricing issue with seats, apparently, is whether you sit in sun or shade. 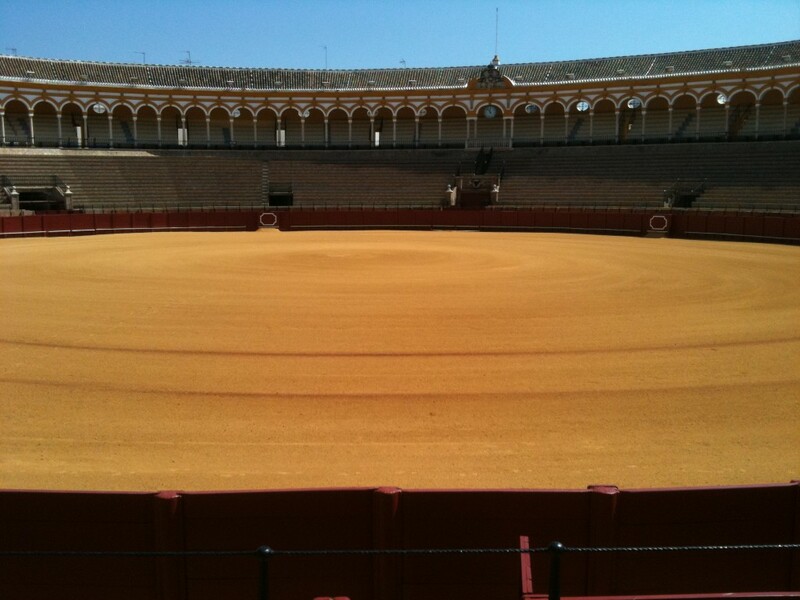 We learnt a bit about bullfighting history and current practice. None of it served to encourage us to watch or even condone bullfighting though. I hadn’t appreciated how much the Spaniards view it as an art form rather than a competition – it’s more akin to dance than anything else. Unquestionably there is skill involved and a grace and form heightened by the drama of the danger involved. There is certainly danger too – about 20 per cent of bullfighters get injured. However that compares to 100 per cent of the bulls being injured, of course. The mother of the bull that killed. In the history of La Maestranza only two toreadors have been killed, which was mildly surprising. A coincidental statistic is that only two bulls have ever been ‘granted a pardon’ and allowed to live. We remain a bit uncertain about what the bull has to do to get a pardon. It certainly has nothing to do with killing the toreadors though. 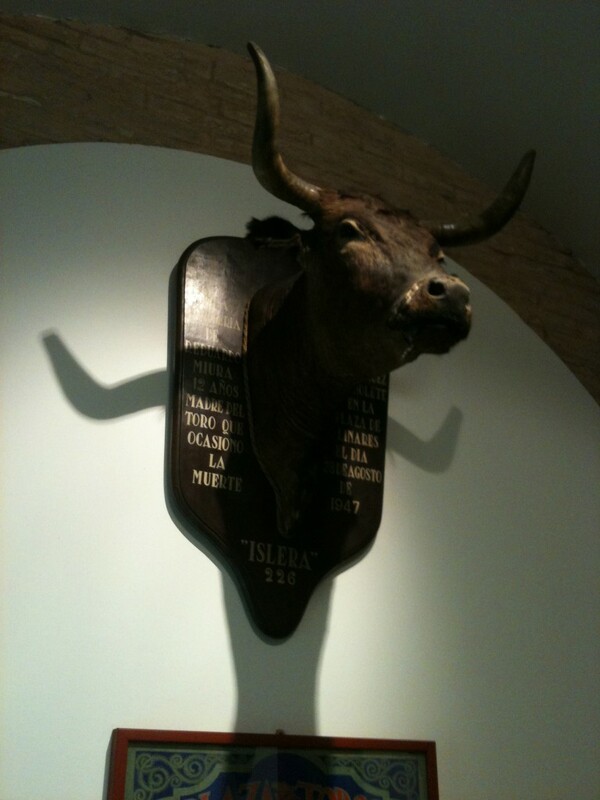 On the wall of the little museum in La Maestranza is the head of a cow. This cow was the mother of the bull that killed a famous toreador. The cow was killed to ensure that she did not produce any more killer bulls. So there’s no sense in which this is a fair competition or anything like it. 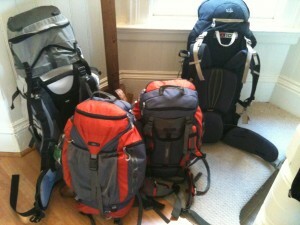 Seeing something like this gives rise to one of those interesting questions about travel. We all dislike even the idea of tormenting and killing a bull for entertainment. You can argue the toss that the bull has a better life than any beef-cow raised to be processed in an abattoir, but there’s still the entertainment factor which is all about the audience rather than the bull. While doing some research on bullfighting I found it interesting that both the Jewish and Muslim religions prohibit even going to bullfights on the basis that you shouldn’t use the pain of an animal for entertainment. But regardless of our own feelings this is a major part of the local culture and has been for a long time. Whether that makes it acceptable in this context is something we’ve been discussing. There are arguments in both directions, but we’re not going to go to a bullfight.